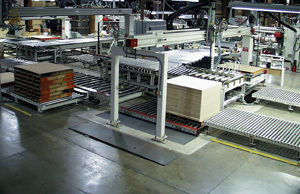 Custom Manufactured Panel Processing Machinery by Creative Automation – Creative Automation, Inc.
Creative Automation's automated material handling equipment for panel processing lines maximizes the throughput of edgebanders, splitters and drills. 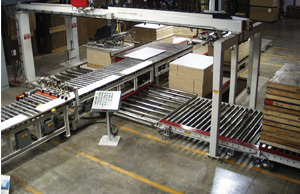 Vacuum panel feeder and distribution. Empty pallets are stacked automatically. 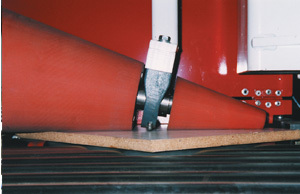 90 degree cone turner, one of many turning options available. 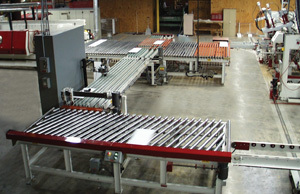 Automated panel stacking and pallet feeding. Diverting system transfers split panels to two different stacking systems, each handling a different sized part.